Paul Cook has pleaded with his Wigan Athletic players to wake up – before they find themselves ‘in a position we can’t get out of’. Latics slipped to fourth-bottom in the Championship table, just two points ahead of third-bottom Rotherham, with only five games to go after Wednesday’s 2-1 defeat at Hull. Once again, Latics threw away a winning position after a promising start, with the kind of individual errors that have blighted their season. And with top-two Norwich City and Leeds United to play in the next week or so, Cook is well aware the pressure is ramping up on his men. 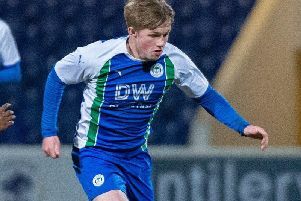 “The games are running out, the prize on offer is so big and important, there’s going to be more twists and turns,” he told the Wigan Post. “But we just keep on putting ourselves into good positions...only to shoot ourselves in the foot. “And if we keep doing this, we’re eventually we’re going to get into a position we can’t get out of. Cook even predicted Tuesday night’s capitulation during his post-match media at Bristol City on Saturday, when he mused: “Can my lads work any harder? No. Do we make some horrendous individual mistakes? Yes. And the goals conceded at the KCOM Stadium were in a similar vein, with Christian Walton’s fumble being punished for the first goal, before Leon Clarke lost his man for Hull’s last-gasp winner. “We can’t turn nothing round now,” acknowledged the Latics boss.